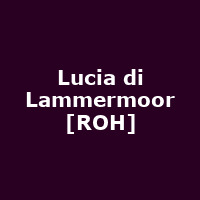 "The Lammermoor fortune is in danger unless Lucia makes a good marriage. Her brother Enrico is horrified to learn she has fallen in love with his sworn enemy Edgardo. Edgardo leaves to fight in France; before leaving he and Lucia privately exchange rings. Meanwhile, Enrico hastily arranges Lucia's marriage to Arturo."